We Serve The DFW Area With Superior Dallas, TX Roofers! Our roofing company is proud to bring the DFW area the highest quality services for all commercial and residential needs. For over 15 years, our Dallas, TX roofers worked to expand our roofing knowledge and experience, and now we’re A+ rated with the Better Business Bureau! We can repair, replace and maintain any type of roof in Texas, and we have even spread our services to Oklahoma and Louisiana! Call us now at (214) 373-1500 for roofing services anywhere in DFW! Our residential services are hard to beat. We have experience working with clay tiles, concrete tiles and imitation tiles as well as shingles, metal and much more! We can repair or replace all types of residential roofs. We can even do periodic maintenance to make sure your roof is in top shape before any issues with your roof get out of hand. Whether it’s an installation or a repair, our Dallas, TX roofers want to help your roof last as long as possible. The commercial services we provide for businesses are unmatched. We have worked with all varieties of flat roofs, from modified bitumen and built-up roofs to TPO and more! We want to keep the roof over your business working effectively in order to extend its lifespan. As you can see, we’re well-versed in all things roofing, but that’s not all. We also specialize in storm damage roof repair. 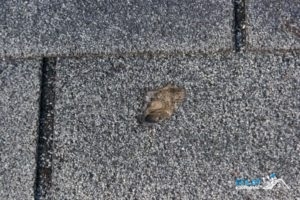 If a recent severe storm has you worried about the state of your roof, we can inspect and repair any damage from hail, wind, rain and more! If your roof has suffered significant damage from a recent storm or something else, such as a fallen tree, that you believe your home insurance should pay for, we can even walk you through the insurance claim process! One of our Dallas, TX roofers will take a look at your roof with an insurance claims adjuster to help you get a fair bid for repairs from your company. We invite you to read online reviews from our customers or call us at (214) 373-1500 today to request references from previous projects. We are the premier roofer for Dallas, TX and the surrounding area. Contact us today! Updated on September 13, 2018 at 2:58 pm by Eclat Roofing.